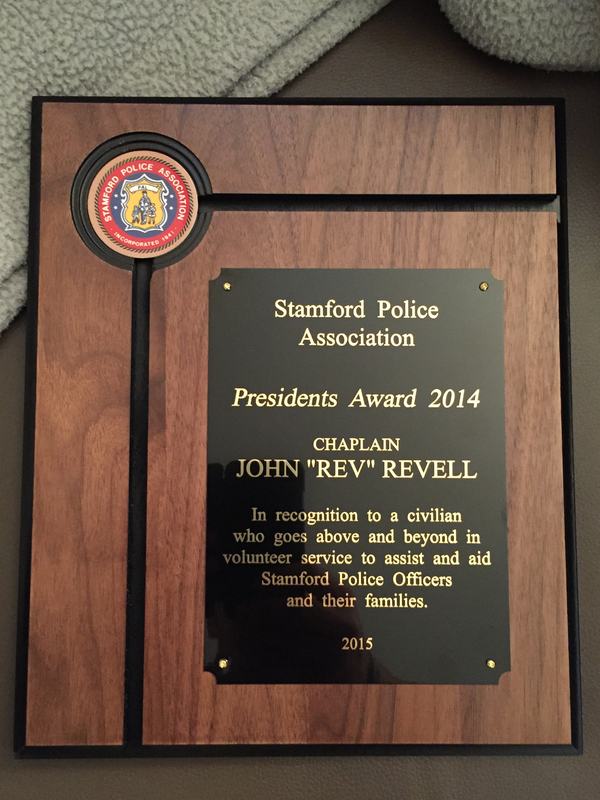 I have had the honor and privilege of knowing Reverend John Revell during my tenure as Police Chief of the City of Stamford, Connecticut. 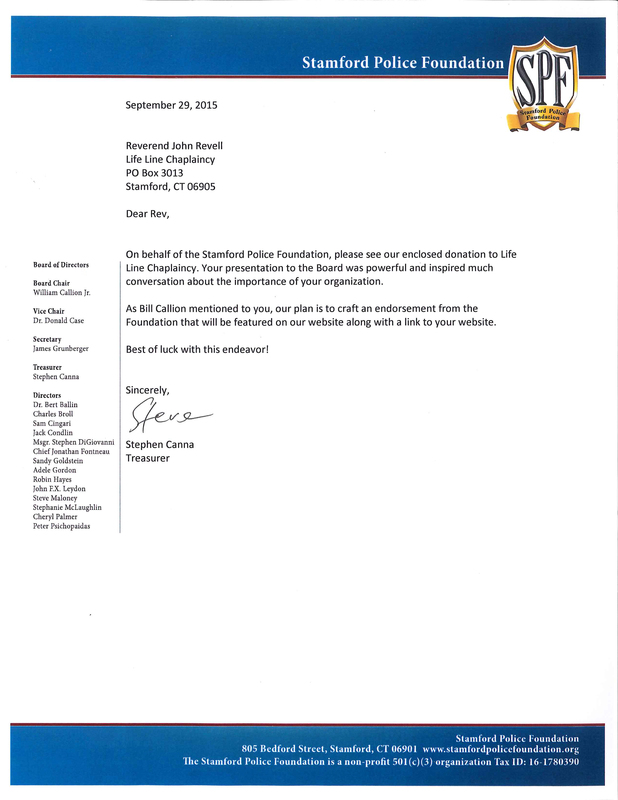 The “Rev”—as he is fondly referred to—is a unique, kind, compassionate, and considerate professional whom we have welcomed proudly into our ranks. 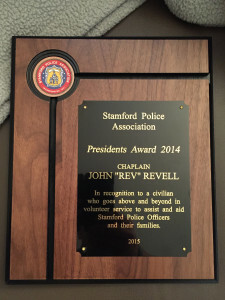 The Police Department has had a long-standing tradition of police chaplains, and when I invited him to serve in that role, it was clear to me that Reverend Revell would look at this position, assess its merits, and redefine it; and he did. The “Rev” quickly became a tireless assistant, and in the face of such tragedy that exists in the police world, he has been a benchmark for all to follow as his optimistic outlook, professional standing, and his empathetic views of life permeate the often-depressing situations that we all face. Although he is a representative of the Church, the Reverend clearly demonstrates by his actions that he is available to all, regardless of beliefs, without discrimination. He has been an active advocate for the police and the community, displaying a will to attempt at all costs an intervention in the psychological trauma—as well as dealing with the physical repercussions—of a dangerous profession. He has truly been “there for us”. My respect for Reverend John Revell is deep, and this is because of his selfless devotion to his flock, which may be be defined as “everyone who is in need.” His dedication to the uniformed services is unwavering, and when faced with situations that have included death, serious psychological trauma, and high degrees of stress, he exhibits the command presence, so imperative for those in need, during the incidents. However, most importantly, he has been there during the multiple stages that follow. His work with those struggling with Post Traumatic Stress Disorder (PTSD) is significant and this is where he truly defines himself. He is there for everyone. I have personally witnessed his quiet, often times thankless endeavors, and his advocacy for those in need. 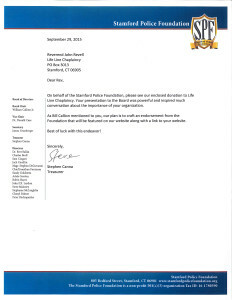 As the one who the initiated the Employee Peer Support Team for our department (under a different title), I would recommend him strongly; he personifies dedication and excellence. Please feel free to contact me if I may be of any assistance.